March 22, 2010 - Jnt. Hearing w/ House Committee on Administration; Audio only. September 3, 2009 - Audio only. July 1, 2009 - Audio only. May 18, 2009 (Part I, Part II) - Part I is audio only. May 11, 2009 (Part I, Part II) - Audio only. May 8, 2009 (Part I, Part II) - Part II is audio only. May 1, 2009 (Part I, Part II) - Part II is audio only. April 20, 2009 (Part I, Part II) - Audio only. April 6, 2009 - Audio only. March 30, 2009 - Audio only. March 17, 2009 - Audio only. February 2, 2009 - Audio only. Review the constitutional provision that prohibits the Senate from hearing non-emergency legislation within the first 60 days of the Session. Review options for enhancing the efficiency of Senate operations and reducing the requirement to allow for increased time to consider and debate legislation. Study opportunities to save paper, costs and production times on Session-related printngs, interim committee report printings, newsletters, form printings and other heavy paper-use activities within the Senate. Conduct a survey of all Senate offices to determine whether electronic delivery of committee printings, house amendments and conference committee reports would be preferred to manual delivery of printings. Consider other factors as necessary, including accuracy of official documents, budget savings, time sensitivity, ease of distribution, notification of availability and end-user preferences for session printings. Review the Senate budget and identify ways to reduce costs over the next budget cycle. 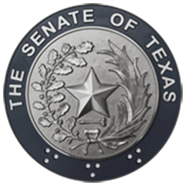 Monitor the implementation of legislation addressed by the Senate Committee on Administration, 81st Legislature, Regular and Called Sessions, and make recommendations for any legislation needed to improve, enhance, and/or complete implementation.